We’ve passed the halfway mark of the year, the mercury is rising, and it’s time for buying lighter, fresher styles of wine for the warm summer days ahead. But with so many different wines available to us lucky UK consumers, it’s easy to stick with safe ‘go to’ options like sauvignon, pinot and beaujolais. So we thought we’d help you find a few more obscure off-the-beaten-track options from around the world that are perfect for summer sipping. Pedro Ximenez (PX for short) is a white grape you might have heard of before. It’s from Andalucia, harvested over-ripe and then sun-dried to make one of the world’s sweetest wines (also called PX) or to be used as a sweetening agent for sherry. 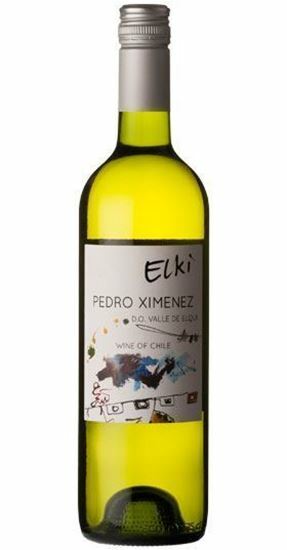 However, Vina Falernia, Elki Pedro Ximenez (£8.95 Great Western Wine), made in Chile’s Elqui Valley, on the southern fringes of the Atacama Desert, is an unusually dry and crisp take on PX that’s worth checking out. With lovely floral and lime zest notes, it’s ideal for everyday summer drinking, aperitifs and light summer salads. There’s some weight and texture to the palate which not only adds interest for drinking but also makes it suitable for light fish and chicken dishes. This is a fab summer staple worth stocking up on. Sparkling wine is England’s flagship style, gaining acclaim at home and abroad, but we’re also making delicious still wines - and with production and quality on the up, they’re starting to make their mark. Production costs are high, however, so rather than compete with bulk wines from afar, savvy producers are focussing their attention on quality, not quantity. Lyme Bay, Shoreline (£16.95 GWW) is made just north of Seaton on Devon’s Jurassic Coast, and it’s gorgeously light, dry, aromatic and fresh. Subtle layers of citrus, elderflower and nettle are followed up with a lip-smackingly dry slightly saline finish. This is the English coastal countryside in a glass, and the perfect wine to accompany fresh seafood dishes, sunny summer afternoons in the garden, or a trip to the beach. Chilling red wine seems counterintuitive to many brits I meet in our often grey and pleasant land. But a lightly chilled red on a hot day can be really refreshing. Juicy, fruity, lower tannin, lower alcohol wines work best and pinot noir, grenache and gamay are classic grapes to go for - but here’s a couple of alternatives. Ailala, Souson (£13.95 GWW) from Ribeiro in north-west Spain is fresh, fruity and jam-packed with blueberry and plum flavours. It’s smooth but comes with the local souson grapes hallmark acidity which brightens the palate and refreshes. Great to have at hand for when the sun gets his hat on and perfect with chicken, pork or cured meat. Elegant and attractively fresh, Huaso de Sauzal, País (£22.95 GWW) is made from local pais grapes harvested from ancient vines of up to a staggering 300 years of age in Chile’s Maule Valley. It’s a ‘natural’ wine vinified using gentle traditional winemaking techniques and is another fabulously juicy red with cherry-like fruit and touch of smoky spice on the finish. It’s unique, unusual and the perfect drop to enjoy with picnics, barbecues, or even poshed-up pizza. Join Tristan for an Interesting Whites and Refreshing Reds tasting at Great Western Wine on 25th July.